The MMM scheme has continued it’s downward spiral ever since the hiccup of December 2016. The scheme has now made another announcement on its Facebook page, below is the announcement: The Latest Trend in Our P.O Ladies and Gents, Many of us might have noticed the slash in 2016 mavro (overgrowth) to the 30% state. I believe that is a welcome development. If you see any reduction in your Mavro, there is absolutely no cause for alarm. MMM Nigeria is working. What we need is basically what we PHed last year, and possibly the 30% mavro during the period of late 2016. MMM is doing all these in a bid to make us easily GH our 2016 mavro. In MMM, we are basically entitled to what we PH and the 30% Extra. Therefore, a slash in the overgrowth Mavro should put smiles on our faces. Some people who PHed 30k last year and had their mavro grow to N110,000 might just wake up this morning to see N39,000. Please dont feel cheated. That’s what we are basically entitled to. We will pay ourselves our 2016 mavros easily. Let’s just keep doing our normal PH and GH. We once complained of our mavro Over growing. Now it has been slashed to its normal 30%. 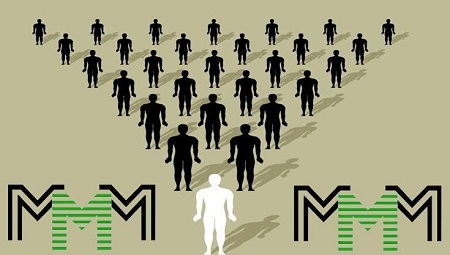 Although not all accounts in MMM have experienced the slash. It will get to your P.O soon. The programmers are at work. The slash in unnecessary growth in Mavro is the best thing that can happen at this time. 2016 Mavros have also stopped growing. Let Us support this latest development as we work towards the sustainability of our great community. Below are some comments on the development: Suleiman Hameed said: “Mine was slashed thank God MMM remember me. But during random payment of N32,000 and later N15,000 I wasn’t remember. “Slashing is not the problem, the point is: when will they implement modalities for payment? Bright Oboh said: “This is just the beginning, MMM please keep up the good work,you guys really know what it takes to serve humanity and make our great society a better place for all,one love to all MMM member,2016 marvos will smile very soon.” Omeje Celestine said: “GHWW has started paying their participant their outstanding money while MMM is still beating around the bush.